A 4.4 magnitude earthquake at a depth of about 10 kilometers struck Central California near Pinnacles National Park early this morning. 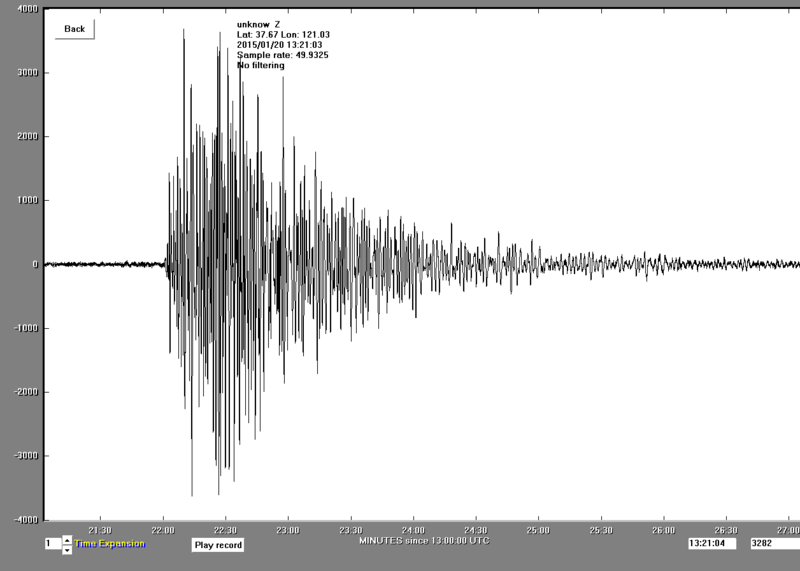 We got an excellent seismic record of the event at Modesto Junior College, as can be seen in the picture above. Earthquakes of this magnitude are generally felt, but are not likely to cause serious damage. The shake map generated by the U.S. Geological Survey shows that extent of the region where the quake was felt. The earthquake looks to have occurred on the San Andreas fault, but in detail it was more than two miles away from the fault. 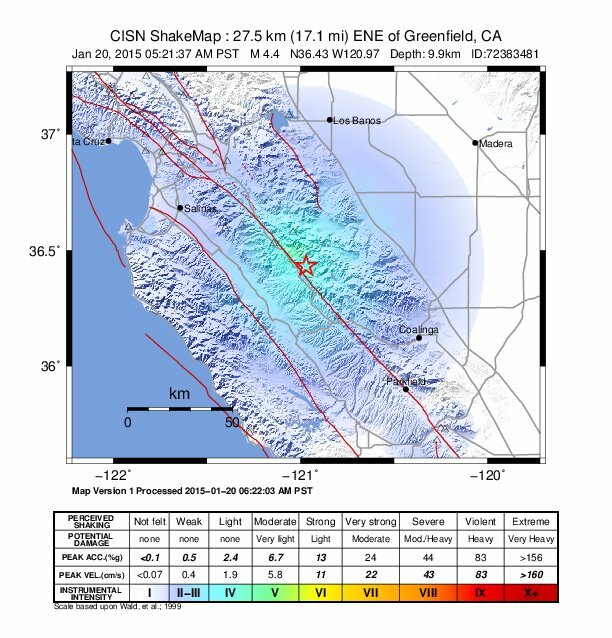 The movement was compressional (a "reverse" fault), rather than lateral, as would be expected on the San Andreas. 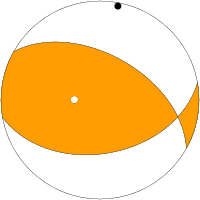 The odd looking ball below is how seismologists are able to tell the type of causative fault. It is generated by the network of seismometers across Northern California, measuring whether the first wave or motion of the quake is compressional or extensional. There is a small percent chance (5% or less) that this moderate/small event is a foreshock, or precursor earthquake to a larger event. Such moderate events are good reminders that the people who live in earthquake country must be prepared for large earthquakes. Check your emergency supplies, read up on earthquakes, and be prepared with an emergency plan for your family.